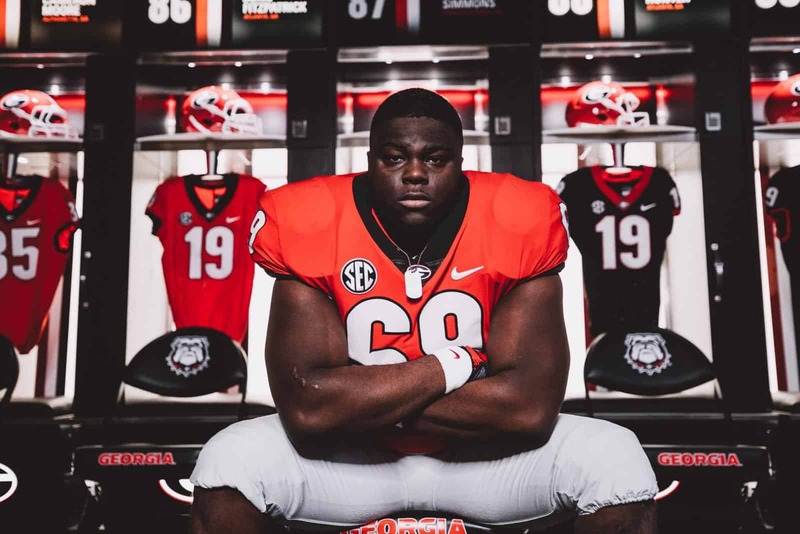 Georgia has picked up what appears to be their second commitment of the day from a preferred walk-on. Offensive guard Brandon Bunkley announced his commitment to the Bulldogs today via his Twitter account. Brandon Bunkley (6-3, 295) is rated as a two-star offensive guard by Rivals.com. He reportedly had a scholarship offer from Tennessee State and has received interest from Auburn, Clemson, Florida State, NC State, Tennessee, USC, and others. Earlier on Sunday, the Georgia Bulldogs picked up a commitment from long snapper JC Vega. He also announced his commitment to Kirby Smart and UGA via Twitter. The Georgia Bulldogs signed 21 recruits during the early signing period in December. Tyrique Stevenson committed to UGA earlier this month and is already enrolled. Georgia has a commitment from one player that is unsigned. Quarterback John Rhys Plumlee committed to UGA last summer but is looking around after Georgia signed Dwan Mathis in December.